[How To] Convert .nbu files to .vcf format - Life’s short Live it up! I have been using two phones till date – Motorola Razr and Nokia e71. Both the phones had its own contact list with a slight overlap. So when i recently bought Samsung c5212 dual sim phone I was left stranded when i tried to import the contacts using the Samsung PC Suite. Samsung reads only .nbf, .lef, .WAB, .csv or .vcf [vCard ] files. 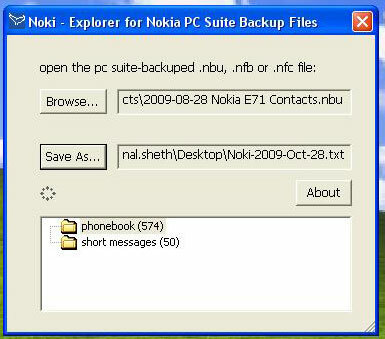 I had taken backup of my nokia e71 through the Nokia PC Suite and it had stored files in the .nbu [nokia back up] format. I tried searching for some application which would convert .nbu files to the one Samsung supported. 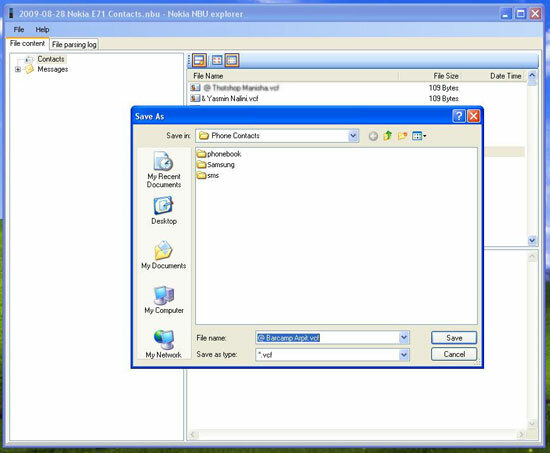 The closest application is Noki soft but the free version allows you to export just 50 contacts! The full version is available for $49.5. I hit bullseye with Nokia NbuExplorer which is available for free! It reads .nbu files and picks up all contacts as well as SMS’s! You can store either one or the entire contact list in .vcf format which you can later easily export it to Samsung phone. Hope this helps whoever has bought a samsung phone and wants to import his contacts from .nbu file. now want to transfer contacts from motorazr to samsung. and i am using vista os .i do not have any pc suite cd with me .and through net it’s giving error while downloading pc suite. Please Tell me way out to convert .VCF file to .NBU. Thanks a lot Kunal. I finally could transfer my contacts to the Nexus 4 with the nbu converter and your help.